Feature | Bella Terra. — Yadi's Journal | All things love. All things home. Not too long ago we discussed cosmetics & since then, I've been asked about my skin regimen plenty of times. About two weeks after arriving to Texas, I was introduced & gifted some items from Bella Terra. I am thankful because my skin hasn't been the same since I started using it. I'm few years away from being 30 & I can honestly tell you, I sometimes freak out thinking about what my skin will look like once I get there or further from there. 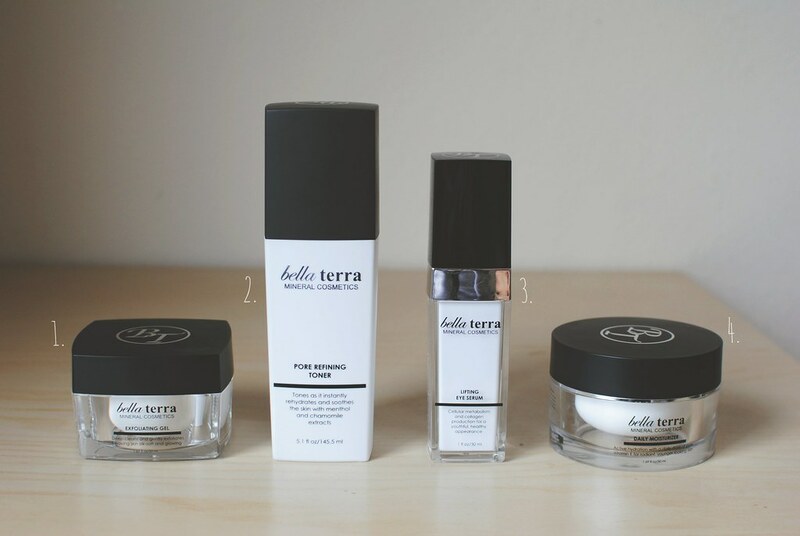 Bella Terra has made my skin brighter, has improved its texture & has made me look a bit younger (even though that wasn't something I was going for, but I'll take it. AMEN!). 1 | Exfoliating Gel. Once a week I have a date with this little one. I love that it has sea weed in it & its fresh clean smell. It feels kind of weird & icky when you first put it on; but when it drys up, it feels cool to peel off. Weirdest sensation with amazing results. Two things I've noticed after using it, better elasticity & smaller pores. Even my facial specialist has noticed & asked what I was doing differently. It has definitely become a must have in my book. 2 | Pore Refining Toner. Used after using the exfoliating gel & on a daily basis after washing* my face. This is perfect for minimizing pores, evening skin tone & keeping out dirt & debris. It leaves my face feeling refreshed without the dry feeling since it has no alcohol. 3 | Lifting Eye Serum. Remember when I told you that I have under eye dark circles? Well, this right here has made a huge improvement. I use it every morning after washing& my face & before putting on concealer. A 'good to know' tip, this little number has plenty of Vitamin C & it's great for fine lines & wrinkles. SPF 30 tinted moisturizer. See, we're all good to go! *For a cleanser, I use LUSH Dark Angels. Aug 19 Texans vs. Dolphins.